Posted on 29/03/2018 at 4:56 pm. 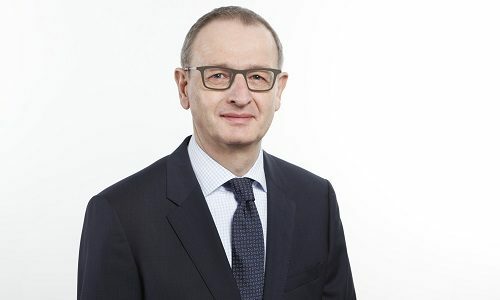 “In conformity with the exhibitors’ vote, we are thus shortening the METAV from five to four days,” says Dr. Wilfried Schäfer, Executive Director of the METAV’s organiser VDW (German Machine Tool Builders’ Association) in Frankfurt am Main. Over 75 per cent of the exhibitors polled in the survey conducted at the end of the METAV voted for a fair lasting four days. The METAV is thus taking a step that other trade fairs for capital goods have already enacted against the background of visitors’ altered lifestyle and working habits. “The Saturday is a relic that no longer fits in with the behaviour patterns of present-day visitors to the fair. People value their free weekend, and do not want to spend it at a trade fair,” explains Dr. Schäfer. The METAV came to an end in February 2018 after lasting five days. The development in visitor attendance on the Saturday showed that there was no longer sufficient demand for it. The METAV 2020 – 21st International Exhibition for Metalworking Technologies will be showcasing the entire spectrum of production technology. The keynotes will be machine tools, manufacturing systems, high-precision tools, automated material flow, computer technology, industrial electronics, and accessories. These will be complemented by the new themes of Moulding, Medical, Additive Manufacturing and Quality, which are firmly anchored in the METAV’s exhibition programme in what are called “Areas”, each with its own nomenclature. The visitor target groups for the METAV include all industrial sectors that work metal, particularly machinery and plant manufacturers, the automotive industry and its component suppliers, aerospace, the electrical engineering industry, energy and medical technology, tool and mould construction, plus the metalworking and craft sectors.